Very popular and one of our best selling lines. 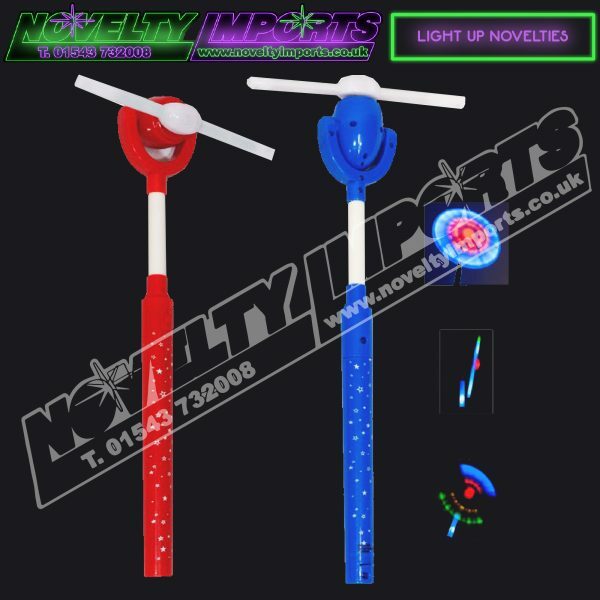 Not only does it create an amazing colour changing light show on the adjustable windmill part the stem also lights up with a nice bright blue led. 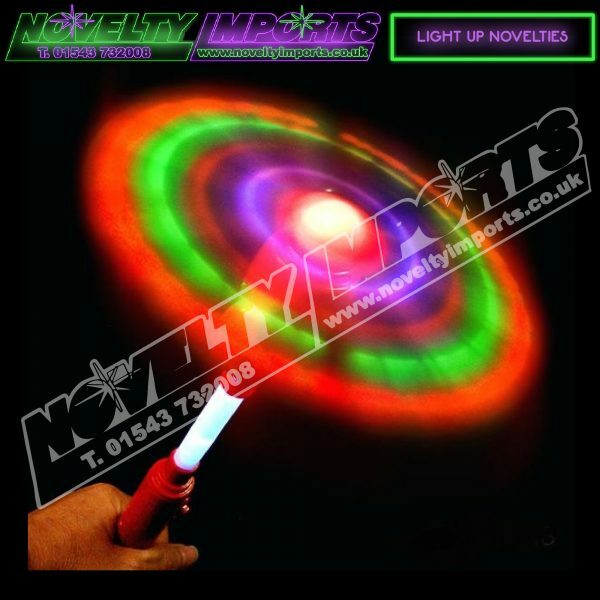 Good size of 36cm (14" approx) Mixed coloured shells of red and blue comes complete with 3 x AA batteries with protection tab ready to go. 1/pc bag packing 24/pc inner box and 96/pc to a full carton.